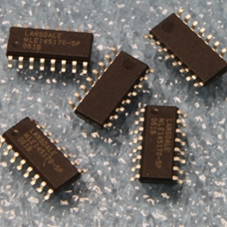 Lansdale Semiconductor, Inc. announced the continued availability of the ML145170 PLL Frequency Synthesizer circuit with Serial Interface. Originally designed and built by Motorola/Freescale Semiconductor, Inc. Lansdale has single-source rights to both globally market and continue to manufacture Motorola’s line of PLL (Phase Lock Loop) Circuits. The ML145170 is a single-chip synthesizer capable of direct usage in the MF (Medium Frequency), HF (High Frequency) and VHF (Very High Frequency) bands designed for equipment. 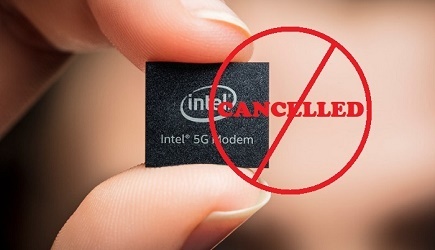 The availability of the ML145170 IC is critical in supporting a variety of applications including automotive products, programmable oscillators, transceivers, cellular phones and computers. A special architecture makes this PLL easy to program. Either a bit- or byte-oriented format may be used. Due to the patented BitGrabber™ registers, no address/steering bits are required for random access of the three registers. Thus tuning can be accomplished via a 2-byte serial transfer to the 16 bit N register. The device features fully programmable R and N counters, an amplifier at the Fin pin, on-ship support of an external crystal, a programmable reference output and both single and double-ended phase detectors with linear transfer functions (no dead zones!). A configuration C register allows the part to be configured to meet various applications. A patented feature allows the C register to shut off unused outputs, thereby minimizing noise and interference. The ML145170 is available in dual-in-line and surface mount packaging (P Dip-16, SO 16 and TSSOP 16). Lansdale’s exclusive product life cycle management system is a quality control system that guarantees form, fit and function equal to the original manufacturer’s design specifications. The Lansdale model has become increasingly important s the growth of the counterfeit industry has increased the problem of maintaining a reliable source of components for long-life systems. With counterfeit electronic components becoming more of a global industry nightmare, Lansdale’s 30-plus years of product life cycle management, support and manufacturing using only the OEM’s original tooling has become even more critical in today’s market. This assures a continuous source of high performance IC’s to the worldwide electronics market.